AirAsia will provide exclusive flight discounts to MHTC customers, and AirAsia guests with prearranged appointments made through MHTC will also enjoy additional benefits at participating hospitals, including up to 20% discount on the medical check-up and non-medical bills, as well as in selected F&B outlets simply by showing their boarding pass. 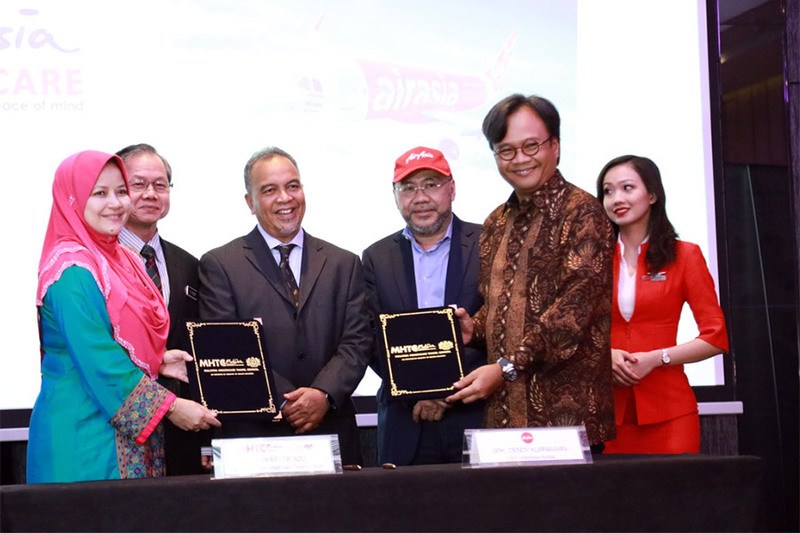 The signing ceremony was witnessed by Malaysian Deputy Minister of Finance Dato’ Ir Haji Amiruddin Hamzah, Malaysian Deputy Minister of Health Dr Lee Boon Chye and AirAsia Group Berhad Executive Chairman and AirAsia X Co-Group CEO Datuk Kamarudin Meranun. Also present was Association of Private Hospitals of Malaysia (APHM) President Datuk Dr Kuljit Singh. AirAsia Indonesia (carrier code QZ) currently serves Penang with twice daily flights from Jakarta, thrice daily flights from Medan and thrice weekly flights from Surabaya. AirAsia has been serving flights from Medan to Penang since March 2006, followed by the inaugural flight to Penang from Jakarta in March 2008 and from Surabaya in November 2010.